Ever since the renowned theoretical physicist Lawrence Krauss sent out his infamous “tweet” last month, the astrophysics community has been abuzz with rumors that scientists may have detected gravitational waves for the first time. More recently, as Science reports, an Email was leaked from theoretical physicist Clifford Burgess which indicates that the rumors are quite substantial. And very soon now, we may learn whether that rumor is, in fact, true or not. 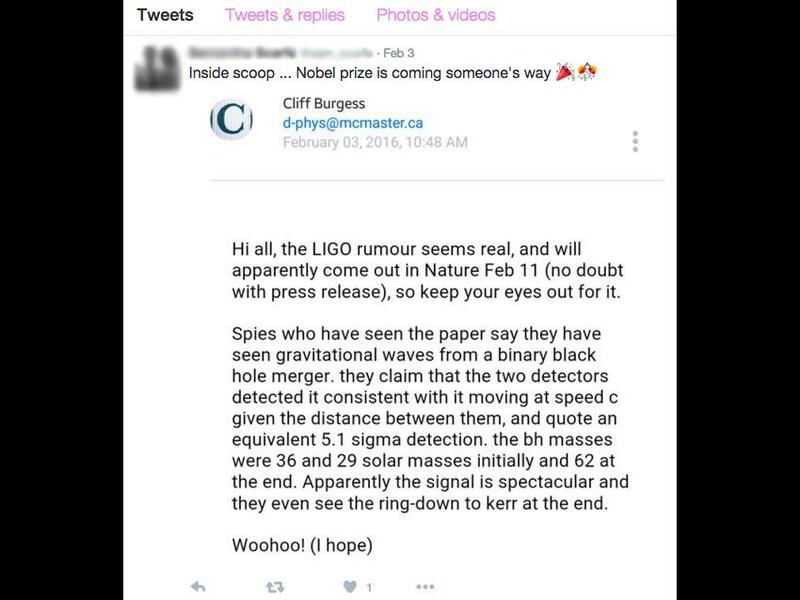 Which may not sound especially Earth-shattering, but coming as it does on the heels of the swirling rumors, and in conjunction with another rumor that a LIGO-related paper will be published on the same day as the press conference in the journal Nature, the announcement has many wondering…what if? 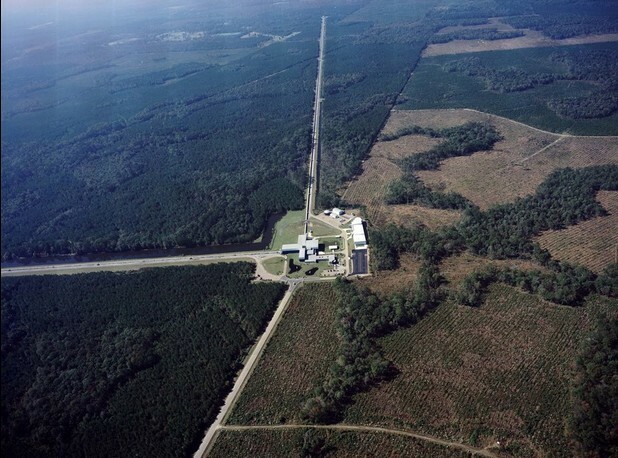 LIGO detector in Livingston, Louisiana. Credit: LIGO Scientific Collaboration. It’s hard to overstate the importance of an actual, confirmed gravitational wave detection. The theoretical implications alone are enormous—it would represent an independent verification, and yet another confirmation, of Einstein’s General Theory of Relativity (which predicted the existence of gravitational waves a century ago this year). But the effects of such a discovery on observational astronomy and cosmology would be revolutionary. A whole slew of astrophysical phenomena—formerly beyond our ability to detect—would suddenly swim into view. Astronomers could study black holes directly, observe the mergers of white dwarfs and neutron stars, peer into the hearts of giant stars as they explode, and even spy on the birth of the universe itself. It might even be possible to discover the existence of other physical dimensions through gravitational waves, and begin charting the geography of that hyperspatial “bulk” whereof our own three dimensional world is but an insignificant facet. So it’s easy to get caught up in the excitement of all the rumors spinning around the Internet. The New Scientist, in an informative article, considers the latest rumors likely to prove true; using publicly available information, they’ve found that LIGO seems to have detected three possible gravitational wave signals in September and December of last year. Exciting, certainly…but is it true? It’s hard to say now; the LIGO team has a disconcerting penchant for inserting false signals (“blind injections”) into the data, just to keep everyone on their toes. This is what happened in 2010, an epic anticlimax in which a black hole merger turned out to be just a really clever fake. LIGO is much more sensitive these days, and if the New Scientist analysis is correct, it’s hard to believe that three separate signals, detected at different times, are all fakes. In any case, we’ll find out one way or another on Thursday morning. So keep speculating, and stay tuned to Futurism for breaking news.